The two previous posts in this series examined the gospel according to Keller exposing that his teachings on the character and nature of Christ, the purpose of His death, His mission, and the mission of His church are in total contradiction to God’s word. In this post evidence will be presented that clearly exposes Keller’s gospel as identical to the wretched Liberation Theology of Catholicism. Though there are many who espouse this perverted, false gospel, five men are primarily credited with popularizing this heresy: Luigi Taparelli (Catholic priest of the Jesuit order), Gustavo Gutiérrez (Catholic priest of the Jesuit order), Juan Luis Segundo (Catholic priest of the Jesuit order), Leonardo Boff (Catholic philosopher and former priest) and Jon Sobrino (Catholic priest of the Jesuit order). It would be Sobrino who coined the phrase “preferential option for the poor,” which became their clarion call. 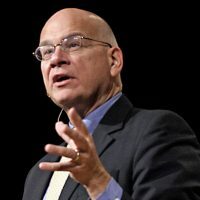 In sum, Keller teaches a heretical and social gospel and has set out to redefine Christianity in order that the visible church will get in line! Every good Marxist knows that the greatest obstacle to their “utopian” fantasy has always been biblical truth. Subversion of biblical truth by means of infiltration is their goal. a movement in Christian theology, developed mainly by Latin American Roman Catholics, that emphasizes liberation from social, political, and economic oppression as an anticipation of ultimate salvation. Please note that it was “developed” by Roman Catholics, confirming by definition that it does not derive from scripture.